Tonight Matthew I’m going to be…… – Definitely Not The Walton's…. Strictly speaking I ‘adult’ every day, albeit some days more successfully than others. Yesterday however, I ‘adulted’ myself to the nines. So that you can feel comfortable continuing to read and for the avoidance of any misunderstandings, I should reassure you that this post is perfectly respectable and I won’t be revealing anything x-rated or of a delicate nature. You can all breathe a sigh of relief and resist the notion of poking out your own eye-balls/resorting to mind bleach for fear of dodgy pictures and such like! I don’t know about you dear reader but the majority of the time I don’t feel old enough, responsible enough or even qualified enough to do the “adulting” parts of life. Certainly not with success and authenticity in any event. Over the last year particularly, “adulting” has been a part of my life I’d quite like to have run away from. Somehow wherever I hide, no matter how precisely I have chosen the deepest, darkest recess or how carefully I stick my fingers in my ears and shout la-la-la, the necessity for “adulting” always has a way of finding me….darn it. And even before last years ‘annus horribilis’ I must confess that I had very often felt like a player in that game “Hedbandz” rather than a real adult. For the uninitiated, the game compromises of a plastic head band device with a slot in which you stick a card in which states the object/word/profession and the wearer has to ask a series of questions to try & work out what or who they are. For added ‘fun’ you can do a timed session so they have to guess in a specific time period or a specific number of questions. Adding alcohol into the equation for the ‘Adulty’ version I’m sure can only enhance the fun 🙄 But never in a million years would any card ever depict me as an adult; in fact I think I’m possibly only marginally up from a lemming…. Anyway, what I mean by my ramblings above is, in theory I suppose I should know I’m an adult but the actuality is very different and frankly I really don’t feel I’m quite mature enough to make life or death (somewhat over dramatic!) decisions on a day to day basis when I can barely decide what to cook for dinner! So now I’ve long-windedly explained that, I’ll get to why I ‘adulted’ properly yesterday. For those of you who have followed my blog for a while or who know me in the ‘real world’ you are probably familiar with my involvement in SWAN UK. 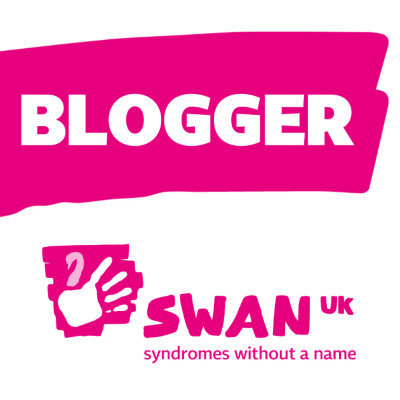 SWAN stands for syndromes without a name and it is the only specialist support network in the UK dedicated to families of children and young people affected by a syndrome without a name. Having 2 children who are classified as SWANS – they are both medically complex and although they have multiple diagnosed difficulties/needs, we don’t have an over-arching diagnosis that draws everything together – getting support from SWAN UK over 5 years ago made a huge difference to myself and the whole family. In fact, if we had not joined SWAN UK (its free!) we would have had no idea where to even begin to think of living when we moved to the UK some 4 years ago. Mr Def Not The W’s was allocated Leeds as a base when he joined his new airline but we knew nothing about the area, about hospitals, schools, housing and services and so it was to my trusty network of online friends that I turned to to seek advice and guidance in helping us formulate a plan. Over the years, the advice, reassurance, sense of belonging and community not to mention the family days out, coffee mornings and get togethers have been a huge source of comfort, support and a wealth of experience for me. Back in 2013 it became apparent that holding down a job, even working from home as I had done since 2008, in a role that I could fit around my children, was no longer viable. I eventually found that in order to keep on top of work I was in a seemingly endless cycle of being up very early, going to bed very late and working all the hours in between that weren’t occupied with the needs of the family including weekends. Something had to give. It was *almost* my sanity. Although I don’t miss the crazy relentlessness of those days and we are fortunate in that we can (just about) manage for me not to work (and are hugely grateful at times to our parents for stepping in when an unexpected bill/costs rears their ugly head) I do miss that feeling of achievement and accomplishment. So in September 2015 I decided I would like to try and do something useful with my life and if possible, give a little something back. I decided to volunteer to be a SWAN UK parent representative for North Yorkshire…. if they would have me! And they did. 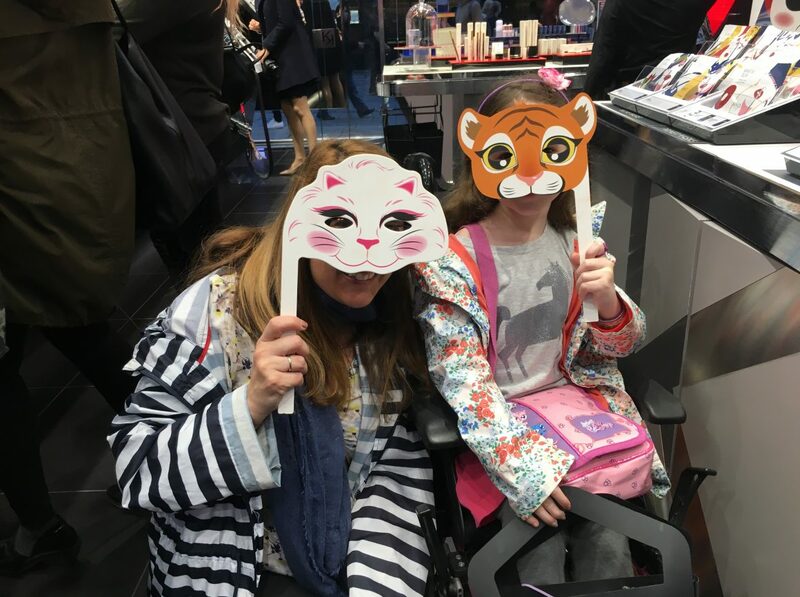 In fact, this was absolutely perfect because recognising that caring for medically/physically and or cognitively complicated children can mean life doesn’t follow the best, most carefully laid plans, SWAN UK are happy for parent representatives to volunteer as much or as little of our time as we are able to give. They also understand that sometimes we have to drop everything with little to no notice and have always made it clear that the needs/demands of our children, wider family and ourselves are paramount. Over the years of being a SWAN UK parent representative, I have spoken at a Rare Disease conference about my experience of being a parent of undiagnosed children; I have contacted my MP about being part of an APPG (all party parliamentary group) to discuss and raise awareness of being undiagnosed and the implications that has on families as a whole, not just the affected individual. I have visited Parliament and spoken to a wide variety of professionals about the difficulties of living with the unknown and unexpected as well as assisted in organising days out to celebrate Undiagnosed Children’s Day (last Friday in every April) arranged coffee mornings and fund-raising events. I don’t want to come across as holier than thou but aside from (hopefully) raising awareness and sign posting SWAN UK, it did make me feel useful and purposeful again. It gave me an opportunity to step outside the role of parenting my own children’s medical management and hopefully gave a voice to others in a similar situation. Anyway back to the reason behind the recent adulting: after something of a hiatus in 2017, I attended a professionals meeting at our local hospital. The fact that the head of paediatrics is also my children’s consultant was not lost on me and was more than slightly daunting. Somehow, seeing me in a different role to G Man or Minx’s Mum felt strangely discombobulating; at least in the run up to the meeting itself and I was plagued with disconcerting dreams that I would somehow disgrace both myself and SWAN UK. Nonetheless, I asked SWAN HQ to send me some literature and armed with this, my trusty, very bright pink SWAN UK bag, business cards (get me! I’m posh!!) and a lanyard, I put my big girl pants on (erm figuratively you understand, I haven’t gone totally Bridget Jones yet) and my “grown up” clothes on. Being only 5ft almost 3 inches, adulting clothes usually involve heels for me. Fretting that I didn’t want to look like I was trying too hard or heading out for a slap up meal, I opted for heeled boots, a patterned skirt & top, with a bit of jewellery and a swish of eyeliner & lippy. On the inside I may have felt about 5 and was quaking like a jelly but externally I *hopefully* projected confidant, knowledgeable and approachable…. Obviously I couldn’t really ask those present at the meeting if I had successfully captured that but my audience were enthusiastic and receptive. They were keen to read and then display the literature I provided and told me that they would be disseminating the information to fellow colleagues, the Paediatric ward, Child Development Centre, Parents Room and Paediatric clinics. I also got agreement to have a stand in the foyer of the hospital to coincide with Undiagnosed Children’s Day in April. So all in all, I think it went well. Next Same but different….rare as Unicorn 💩?? ?